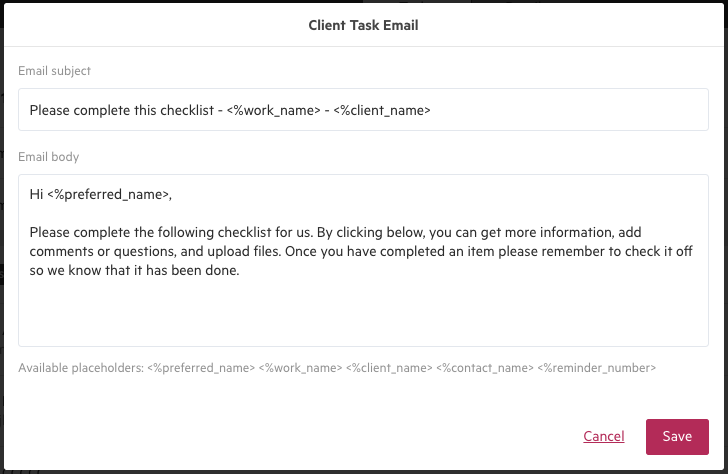 Customize client task emails and reminder emails using placeholders that will auto-populate with specific text. 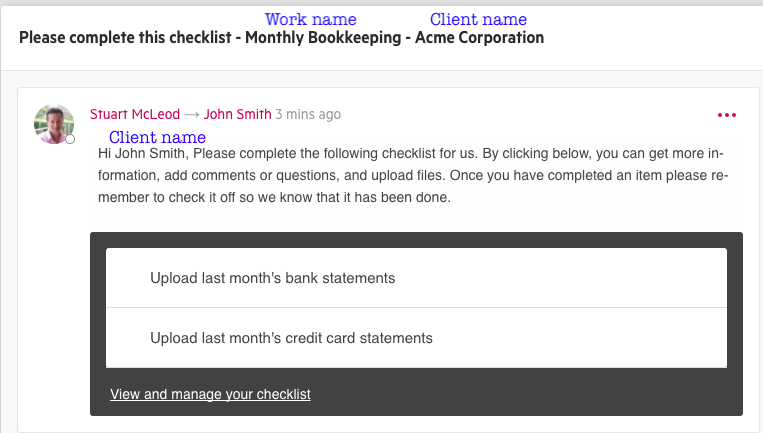 When you edit a client task email or reminder email, you can add placeholders for the work name, client name, contact name or salutation. In the default email shown below, the placeholders can be moved around or removed altogether. If you do remove the placeholders, you can use them again by copying from the text below the email. By default, your client task emails will be addresses to the contact's preferred name. If your contact does not have a preferred name specified, the contact's full name will be used.